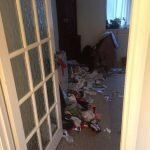 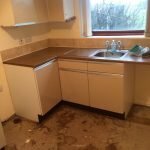 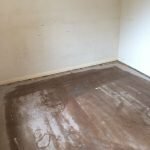 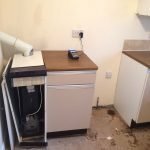 House Clearance Service In Biggar South Lanarkshire. 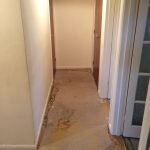 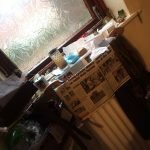 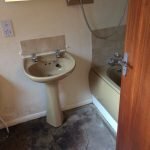 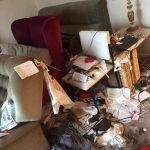 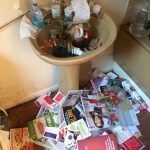 I am looking to have my great aunts house cleared in Biggar – South Lanarkshire, could you please provide me with a rough quote. 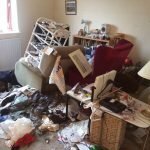 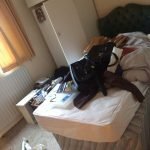 The house is mainly filled with large items of furniture and kitchen appliances, my family and i have been sorting through the items for over two weeks now. 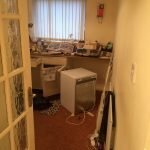 We have took all of the personal items and have donated as much as we can, we just can not shift the rest. 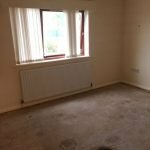 I have looked at your vans on your website and in my personal opinion, believe that the furniture that is left will fill 2 van loads. 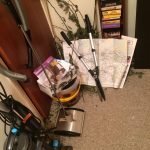 Many Thanks, Gary. 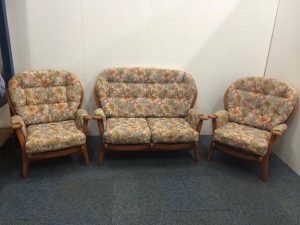 A three piece conservatory sofa suite, comprising a two seater high back sofa and two matching armchairs, upholstered in floral patterned fabric. 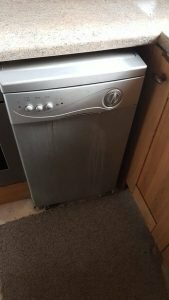 A silver LG under counter slimline dishwasher. 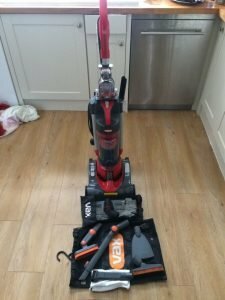 A black and red Vax 2 in 1 carpet cleaner and vacuum cleaner. 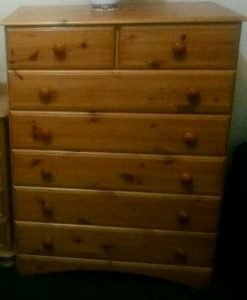 A large solid pine chest of drawers, having two small drawers above five large drawers. 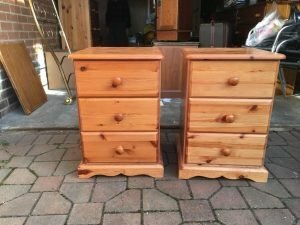 A pair of solid pine bedside drawers, each having three drawers. 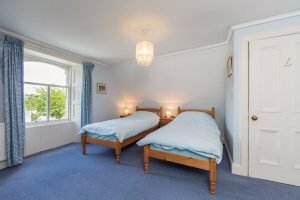 A pair of solid pine single bed frames with two single mattresses, together with a pair of solid pine bedside units. 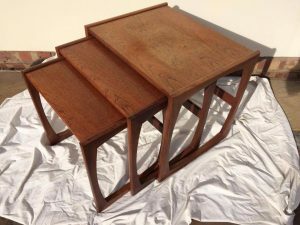 A set of three G plan 1970’s vintage nest of tables. 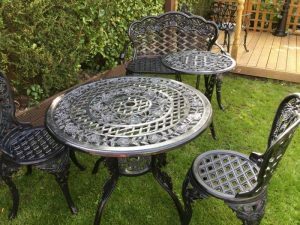 A four piece cast iron garden furniture suite, including a two seater chair, two circular tables and two dining chairs. 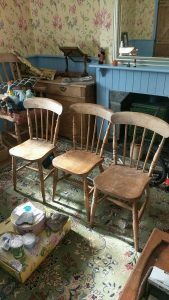 A set of three curved back solid pine dining chairs. 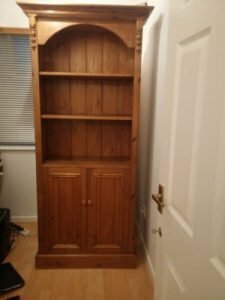 A tall standing solid pine Welsh dresser, having two shelves above a double cupboard. 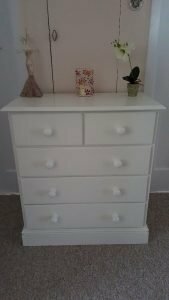 A white painted solid pine chest of drawers, having two small over three large drawers. 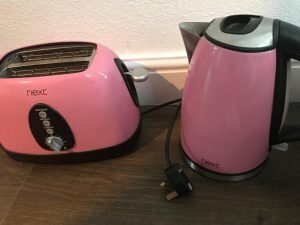 A pink and silver Next two slice toaster, together with a matching kettle. 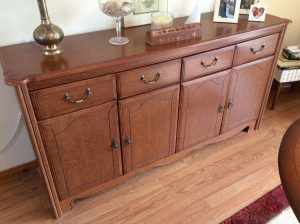 A large solid wood scalloped edge sideboard, having four drawers above two double cupboards, with brass handles. 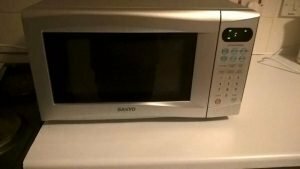 A silver Sanyo 60w microwave oven. 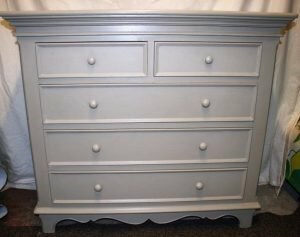 A painted solid pine chest of drawers, having two small drawers over three large drawers. 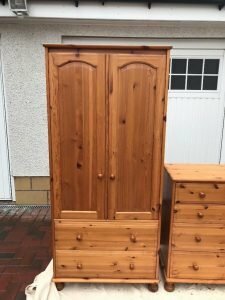 A tall solid pine two door double wardrobe on ball feet, having two drawers to the bottom, together with a matching chest of drawers.